User Manual - click here - from S&S Computing [the makers of SewArt] detailed manual for all the features in SewArt. User Manual - click here - from S&S Computing [the makers of SewWrite] detailed manual for all the features in SewClean. User Manual - click here - from S&S Computing [the makers of SWP] detailed manual for all the features in SewWhat-Pro. 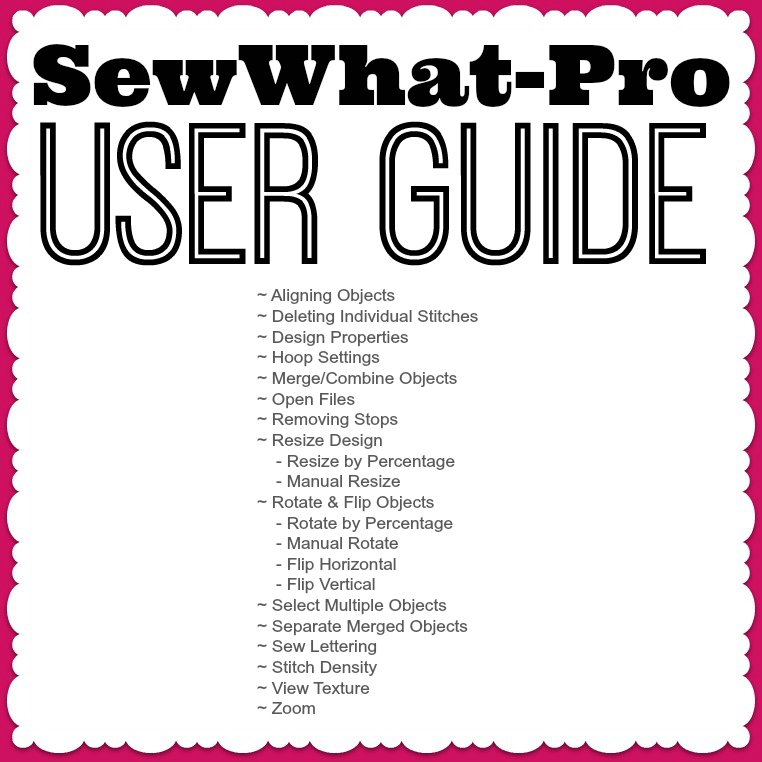 SewWhat-Pro User Guide - click here - from AKDesigns Boutique - I made this short tutorial to make it easier to perform some of the most basic and popular features of SewWhat Pro. User Manual - click here - from S&S Computing [the makers of SewWrite] detailed manual for all the features in SewWrite.